Last week I shared about my haul from my library’s warehouse sale. 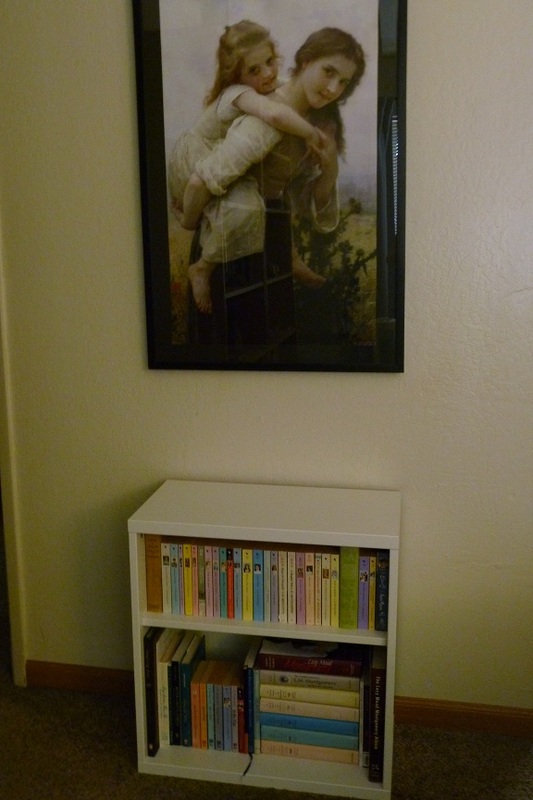 Well, I went to the sale on Saturday…then went out to buy new bookcases on Sunday! I had been getting cramped on my shelves for a while, and I think the new O. Henry books marked something of a tipping point. That top shelf may look disorganized…but the books are actually arranged in the order in which LMM wrote them. 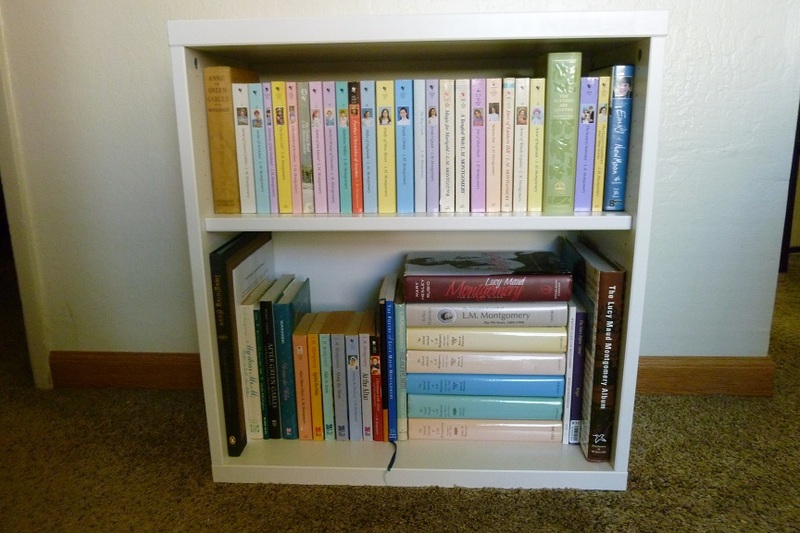 I tried organizing them that way when I moved to this book case, and I still haven’t quite decided if I like it. I may freak out at some point and put them back in series order! Have a great Saturday! Visit West Metro Mommy for more Saturday Snapshots. Great collection and love the art piece. Love that painting. And the bookshelf looks inviting! Lovely painting, and I now have to google LM Montgomery, as apart from the obvious one, did not realise she had written quite so many books. Well, she wrote 20 novels, hundreds of short stories (available in 8 or 10 collections), and you can even buy books of her letters, and volumes of her journals. I have…all of it. 🙂 If you haven’t read it, I highly recommend the Emily of New Moon trilogy. But it’s all good! Those books look great! I like the idea of shelving them in order as they were written. I’ve done that with short series, but never as extensively as you’ve done. Congratulations–more shelves is always cause to Feel Good About Life. And you have all that room on top for more books! Love the shelves and the picture! The good thing about books is you can keep rearranging them any time you feel like it! Oh I don’t know, the girl in the painting certainly looks like a kindred spirit to the many characters created by L.M. Montgomery. Lovely collection of books. She is a favorite of mine and I smiled the second I opened this post as I immediately recognized the book spines. Congrats on the new shelves. My own L.M. Mongomery is on a shelf I can’t reach. I have had so little time to re-read I haven’t even tried…sigh.